L. Lamar Armstrong, III, son of L. Lamar Armstrong, Jr. and Marcia H. Armstrong, joined The Armstrong Law Firm in June 2013. Prior to joining Armstrong Law, Lamar focused his career on representing insurance companies. Now, as an Eastern North Carolina litigation attorney, Lamar (also known around the office as “Lamar 3”) puts the saying “know thy enemy” to good use. Having represented insurance companies, Lamar knows how they evaluate and pay claims. This knowledge can be very useful in handling your injury claim and obtaining a fair settlement from the insurance company. Lamar focuses on business disputes and the lawsuits necessary to resolve them. Prior to law school, Lamar graduated from of one of the highest ranked business schools in the country. His education helps Lamar deal effectively with business structures, finance, operation, management, and other concepts. With Lamar, you get a skilled litigator with credentials of a business executive. Raised in Smithfield, Lamar’s passion is to serve the good people of Eastern North Carolina. 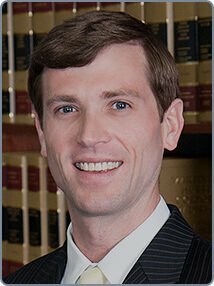 He’s committed to being “Strong for You” as he helps you obtain the compensation or relief you deserve. Whether you have been wronged through a car wreck, an insurance company’s refusal to pay, an unfair business act or practice, refusal to pay a debt, property disputes, or in other ways, Lamar draws on his stellar education, practical experience dealing with insurance companies, youthful energy and passion, and all the tools available through The Armstrong Law Firm, P.A., to aggressively make “right” the “wrongs” unfairly imposed on you. Lamar works alongside his father, L. Lamar Armstrong, Jr., and mother, Marcia H. Armstrong, to serve their fellow Eastern North Carolinians in The Armstrong Law Firm, located in Smithfield, North Carolina. Lamar graduated with distinction from the University of North Carolina at Chapel Hill in May of 2008, earning a degree in Business Administration from the esteemed Kenan-Flagler Business School. Lamar graduated from the Wake Forest University School of Law in May of 2011. Lamar concentrates on civil claims for businesses and personal injury in state and federal court. Lamar is licensed to practice not only in North Carolina state courts but also in all North Carolina federal trial courts, which include: the Eastern District of North Carolina, the Middle District of North Carolina, and the Western District of North Carolina. Lamar is an active member of the North Carolina Advocates for Justice and the North Carolina Bar Association. Contact Eastern North Carolina Litigation Attorney L. Lamar Armstrong, III. They worked hard and cared about my case and me.